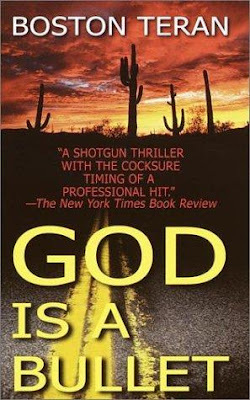 God is a Bullet | JAMMSBRO '+g+"
Ehren Kruger is adapting the novel God is a Bullet, written by Boston Teran some years ago. The plot is simple as it comes. A gang of ruthless satanists kidnap the daughter of a small town sherriff and he goes undercover to attempt a rescue with the aid of a former gang member. The original novel was written with the intent of a future adaptation to screen (it's intentions are clear) but the concept of a man who will stop at nothing falls short as Terans source material just doesn't live up to it's hype. That and Ehren Kruger is a fairly hit and miss writer leaves this one up for speculation as to whether or not it'll be any good.